Tales of the Cocktail kicks off in full force today. 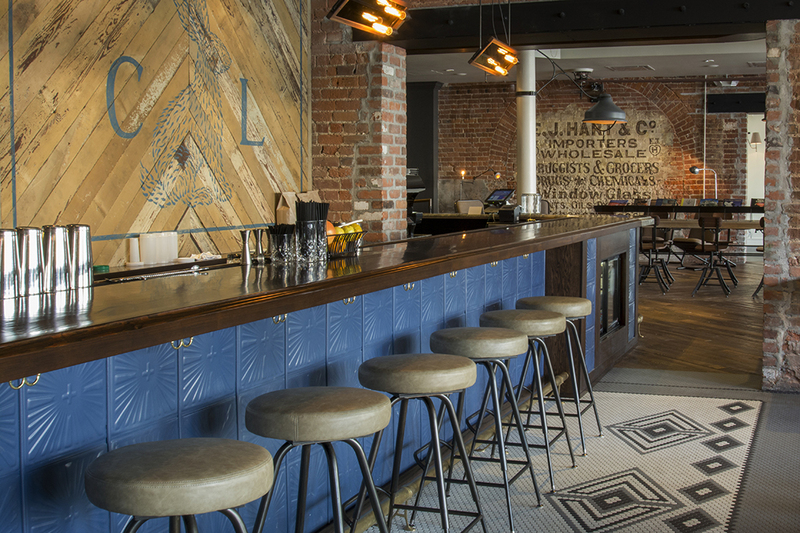 One of the reasons why we love the annual event so much is because it’s an opportunity to explore the city of New Orleans and check out new bars that have opened since the previous year. As the annual festival kicks off this week, we’ve rounded up a handful of locals’ picks to check out, as well as this list of brand-new joints not to be missed. Decatur Street transformed into a full-fledge tropical paradise when Jeff “Beachbum” Berry’s new bar joined Cane & Table on the strip this year. The current menu boasts a blend of classic and contemporary tiki concoctions, and we can’t wait to order a Pontchartrain Pearl Diver—Berry’s tiki-fied take on the hot buttered rum with a honey-butter spice mix, passionfruit and rum, served on ice. If you’re aching for something a bit more simple, try the Luau Daiquiri. Top Chef contestant Nina Compton runs the kitchen at this new Warehouse District restaurant, but we’re most excited about the cocktail program run by Abigail Gullo (SoBou), Ricky Gomez (Cure, Teardrop Lounge) and Zac Augustin (Kingfish, Rob Roy). The house cobbler sounds refreshing, as does the Jerez Highball, an attention-grabbing blend of fino sherry, carbonated coconut water and absinthe. The CBD welcomed the more casual sibling of local favorite Le Petite Grocery to the neighborhood earlier this year, armed with a fresh cocktail menu orchestrated by Jesse Carr, who formerly worked at Maison Premiere in New York. We’ll dive into an Aguardiente Dolar first, a spice-fueled mix of cinnamon-infused mezcal, Mexican fernet, angostura bitters, lime juice and fever tree ginger beer. The beautiful renovation of the historic Swoop-Duggins house sets the tone for sipping cocktails from the small but thoughtful menu listing both classics and new inventions. We’lll reach for the From Italy with Love, a sparkling wine cocktail with Aperol, Cocchi Americano and grapefruit, and ask for the special Tales of the Cocktail restaurant week menu while there. At some point during the week, we’ll probably feel the need to simplify our drinking habits, perhaps with a beer and whiskey combo. There’s no better place for that palate cleanser than Barrelproof on Magazine St. A substantial beer menu peppered with local bottles and solid spirits collection defines the bar, which comes from the team behind Sylvain. After all those cocktails, let’s face it—we’re going to want a beer. Brought to you by the minds behind the disheveled-chic cocktail spot Bar Tonique and locals’ favorite Erin Rose, this beer joint on N. Rampart Street is a perfectly chill atmosphere primed for downing a few canned beers (there are about 50 on the menu). Something from NOLA Brewing, please! A decadent mix of genever, sherry, coconut and cold-brew.